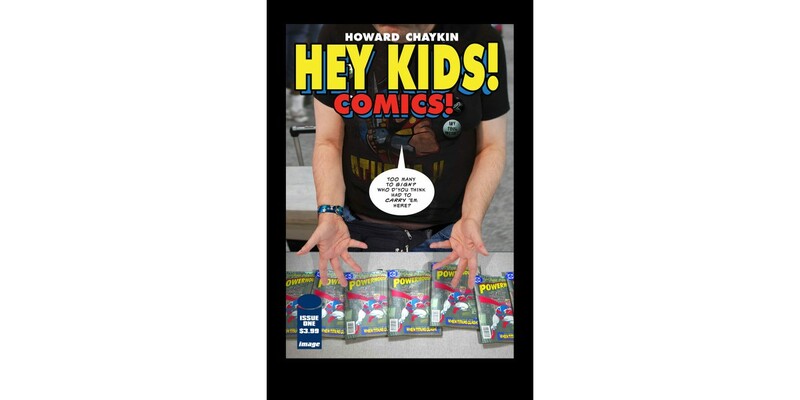 Howard Chaykin’s HEY KIDS! COMICS! takes its cue from nearly a century of turbulence and triumph, despair and drama in the comic book racket and will launch from Image Comics this August. PORTLAND, OR, 5/24/2018 — Howard Chaykin’s HEY KIDS! COMICS! takes its cue from nearly a century of turbulence and triumph, despair and drama in the comic book racket and will launch from Image Comics this August. “Like every man and woman who works in comics, I stand on the shoulders of giants. HEY KIDS! COMICS! is my love letter to those giants—a love letter with a touch of acid in the ink, certainly, but a love letter and a labor of love nonetheless,” said Chaykin. Artists and writers, con men and clowns, ganefs and gangsters, they all created the foundations of today’s biggest entertainment business—or at least the tail that wags the dog. ...although in the end, everyone was guilty of something. HEY KIDS! COMICS! #1 (Diamond Code JUN180055) hits stores on Wednesday, August 8th. The final order cutoff deadline for comics retailers is Monday, July 16th.